As you're going through Jim Rohn's Financial Mastery Plan, this program will be your guiding light that helps you stay focused on your dreams and give you the motivation to accomplish them. Master the basics of your financial world with easily digestible information in an accelerated step-by-step process. 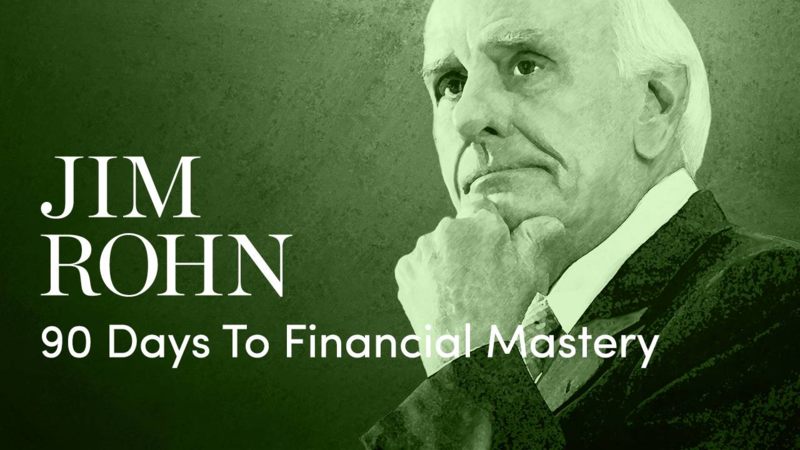 The Jim Rohn 90 Days to Financial Mastery course is based on the proven strategies and enduring principles of the legendary Jim Rohn. You’ll gain valuable insights as you apply the simple concepts taught to your own financial situation. For 12 weeks, you’ll receive three weekly emails featuring financial mastery lessons, quick tips, action steps, special worksheets, audio downloads featuring top financial advisers and professional money managers and valuable review material. Plus, content from the emails, along with your dedicated worksheets and special downloadable audios are all available for you to access at any time after delivery via your exclusive SUCCESS Academy member site. You’ll have immediate access to all material received during the course of the 12 weeks! Sign up now and right away you’ll receive a Special Classic Jim Rohn Seminar Bonus. Don’t wait to join. Take advantage of this amazing offer right away!